Last week we launched a fun little side project awesomeacf.com. 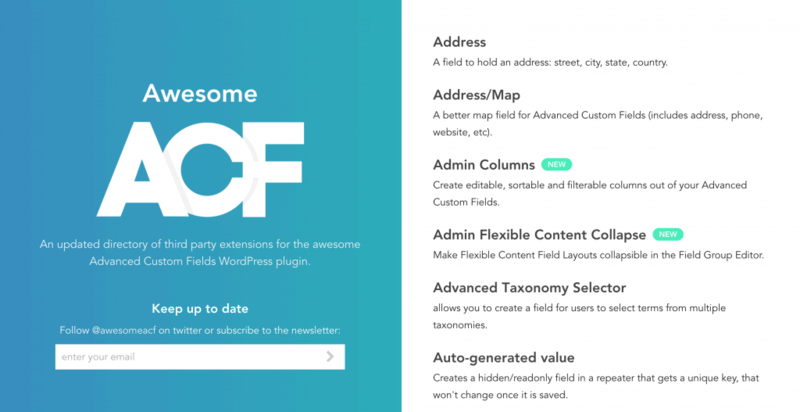 It’s a directory of third-party extensions for the awesome Advanced Custom Fields WordPress plugin. Our listings are based on the Awesome ACF GitHub repo that’s not currently maintained, we’ve added a bunch of listings and marked them with the ‘new’ label.